Apple isn’t really known for reacting to competition, but rumors of an iPad mini have begun to surface. The device may or may not have a smaller screen–likely around the 7-inch size of the Amazon Kindle Fire–but it would be priced much lower than the current $500-$820 iPad, likely around $200-$300, says analyst Brian White of Ticonderoga Securities. 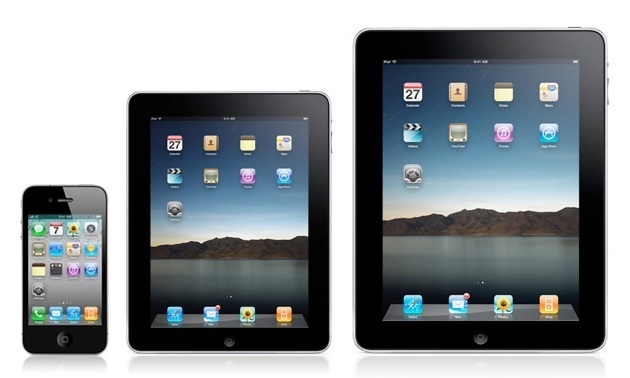 The new device could launch in March-May 2012, which is usually when Apple announces new iPad models. While Barnes & Noble’s Nook Color ($250) and the Amazon Kindle Fire ($200) have seen success at smaller screen sizes and prices, AppleInsider astutely points out that Steve Jobs personally bashed the 7-inch form factor as too small when Samsung unveiled its original 7-inch Galaxy Tab. For the most part, this prediction has been correct. Most manufacturers switched to 10.1-inch tablet models throughout 2011, though few have seen success at that size either. The few tablets that have released at 7 inches, like the BlackBerry PlayBook and HTC Flyer, haven’t fared well. The Nook Color and Kindle Fire (which is seeing strong preorders), with prices half that of other 7-inch tablets, are the only small devices that seem to be thriving at the reduced size, though one could attribute their success to their focus on reading and tight integration with one content brand. Will Apple come out with a smaller or cheaper tablet (or both)?